Why Would You Lust After an iPad Social Media Magazine? We live in a world of information overload. Twitter updates streams past at cyber speed with headlines that scream to be read and with links to fascinating blog articles that compel you to click, open, read and view. Your Facebook friends photos, videos and links are constantly updated as everyone shares their latest online and offline lives. It is all noise, albeit tempting and fascinating and you can find yourself led into a time and world that takes you away from where you originally dived into this information torrent. Currently it is all quite raw and uncurated and is mountains of text in columns of data. 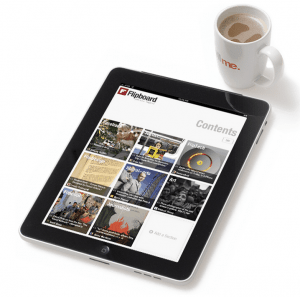 Last week an iPad app called Flipboard launched. It offers a way to “flip” through news, photos and updates from what your friends on Facebook and Twitter are sharing. Rather than scrolling through posts and links, Flipboard organises everything shared into a magazine like format. You can also share the article by ReTweeting or emailing it. Experience will be different for everyone as it is ‘your’ Facebook and Twitter streams but curated rather than just turned into more streams like Tweetdeck. Flipboard follows the bit.ly links and stores and packages the content for magazine type viewing. Robert Scoble one of the worlds top tech commentators also known as the ‘Scobleizer‘ on Twitter and he calls it the “App for 2010 that far exceeds your expectations”. Here is his interview with the CEO Mike McCue. Is Flipboard the tool that we have all been waiting for to turn our millions of notes, blogs, tweets, posts, and updates and make them into something consumable and compelling? So the evolution of the web and social media continues. What are your thoughts on this iPad app? I know I want one.